Product prices and availability are accurate as of 2019-04-25 17:10:31 UTC and are subject to change. Any price and availability information displayed on http://www.amazon.com/ at the time of purchase will apply to the purchase of this product. 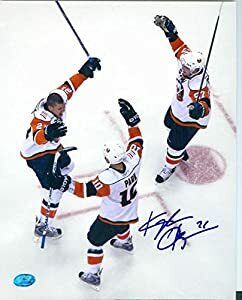 New York Islanders Image Sc2 Kyle Okposo Autographed PhotoSpecifications Size: 8 x 10 in. Weight: 1 lbs Package Quantity: 1 Excellent Quality.